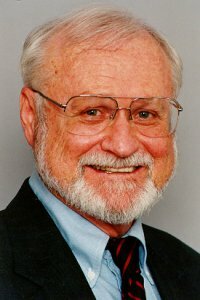 James L. Morrison received his PhD at the Florida State University in 1969. He was lecturer in sociology at the University of Maryland, European Division, and graduate assistant in sociology at the University of Munich (1964-65), instructor in sociology at the Florida State University (1968-69), and assistant professor of education and sociology at the Pennsylvania State University (1969-73). He moved to The University of North Carolina at Chapel Hill as associate professor of education in 1973 and was promoted to full professor in 1977. In December 2001 he became professor emeritus. He founded and served as first president, the American Educational Research Association Special Interest Group (SIG) on Postsecondary Education, and later, when the SIG became Division J, served as vice president and member of the AERA Council. He also served as convener of the Forum on Environmental Scanning, The American Association for Higher Education; served two terms as a member of the Board of Directors, Association for the Study of Higher Education; chaired AERA's SIG on Futures Research; chaired the editorial board, The Review of Higher Education; and served as consulting editor of The Review of Educational Research, The American Educational Research Journal, and the ASHE-ERIC Research Report Series. He founded On the Horizon in 1993 and served as editor until April 2000. With James Ptaszynski, he co-founded and served as editor of The Technology Source from March 1997 until December 2003. In March 2004, he served as founding editor of Innovate, the Journal of Online Education until September 2009. He received the Distinguished Scholar Award from the American Educational Research Association's Special Interest Group on Strategic Change at the 1999 annual meeting. He is author and co-author of over 200 publications focusing on educational planning and on using information technology tools in educational organizations, including Mobilizing for Transformation: How Campuses Are Preparing for the Knowledge Age [with Donald Norris] (Jossey-Bass, 1997), Anticipatory Management [with William Ashley] (Issue Action Press, 1995), The Alternative Futures Approach to Long-Range Planning: A Handbook for Army Long-Range Planners (Department of the Army, 1990), Futures Research and the Strategic Planning Process [with William L. Renfro and Wayne I. Boucher] (Association for the Study of Higher Education, 1984), and Applying Methods and Techniques of Futures Research [with William L. Renfro and Wayne I. Boucher] (Jossey-Bass, 1983). The latter two publications and two articles, "Establishing an Environmental Scanning Capability to Augment College and University Planning," and "Managing Uncertainty" [with Thomas V. Mecca] were cited as critical reading in A Guide to New Planners (Norris and Poulton, Society for College and University Planning, 1991). Several of his most recent publications are "The Strategic Management Response to the Challenge of Global Change" (with Ian Wilson), "Analyzing Environments and Developing Scenarios for Uncertain Times" (with Ian Wilson), "Using the Futures Program as a Tool for Transformation: A Case Study of Lincoln University, New Zealand" (with Allan Sargison and Debbie Francis), "Anticipatory Management Tools for the 21st Century" and "Anticipatory Management: Tools for Better Decision Making" (both with William Ashley), and U.S. Higher Education in Transition. He edited a CD-ROM titled, Technology Tools for Today's Campuses (Microsoft, 1997). He is currently working on a book-length manuscript with George Wilkinson and Linda Forbes titled Common Sense Management for Educational Leaders. See his curriculum vita for a complete list of publications (many of which are now available on the Web). Seminar/Workshop Experience He has made over 250 presentations at a number of conferences and workshops on strategic management, strategic planning, scenario-based planning, issues management, institutional vulnerability audits, environmental scanning, and using technology in educational organizations for such associations as EDUCAUSE, the World Future Society, the Society for College and University Planning, the American Association for Higher Education, the American Council on Education, the Association for the Study of Higher Education, the American Educational Research Association, the College Board, the Association for Community and Junior Colleges, the American Association of Community Colleges President's Academy, the Georgia Distance Learning Association, the Missouri Distance Learning Association, the Southeastern Association for Community College Research, the Michigan Community College Student Services Association, the North Carolina Association for Institutional Research, the Southern Association for Institutional Research, the European Association for Institutional Research, the Association for Institutional Research, the National League for Nursing, the Credit Union Executives Association, IBN International, the American Association of School Administrators, the Chinese American Scholars Association, the Association for the Advancement of Computing in Education, the Inquiring Pedagogies Research Network, the Telecommunications Cooperative for Colorado, the Texas Computer Education Association, the League for Innovation, the American Association of Education, the Western Association of College and University Business Officers, the Corporate University Exchange, the Missouri Distance Learning Association, the Center for Internet Technology in Education, the College Board, and the Japan Association of Language Teaching. See his curriculum vita for a complete list of presentations and workshops. Morrison has served as a consultant to a number of colleges (Caldwell, Edinboro, Hood, Lenoir-Rhyne, Saint Augustines), universities (Alabama, American University in Cairo, Arizona State, Cardinal Stritch, Clemson, Drexel, Kansas, Indiana, International Christian [Japan], James Madison, Lincoln [New Zealand], Maine Maritime Academy, Multimedia University Malaysia, Nanyang Technological University [Singapore], Nanyang Polytechnic [Singapore], Qatar, Rochester Institute of Technology, Southwestern Adventist, Sunway [Malaysia], Tennessee, Thunderbird, Universiti Malaysia Sarawak, the Virgin Islands, and Winthrop), university systems (Maine; Maryland; Ministry of Higher Education, Kingdom of Saudi Arabia), university continuing education centers (Georgia), community college systems (South Carolina), community colleges (Delta [MI], Hawkeye [IA], Houston [TX], Jamestown [NY], McHenry County [IL] College, Metropolitan Community College [Omaha], Metropolitan Community Colleges [Kansas City], Northwestern Michigan College, Onondaga, St. Cloud Technical College, William Rainey Harper [IL]), educational agencies (U.S. Department of Education, North Carolina Department of Public Instruction, and the Middle East Institute of Higher Education), school systems (Orange County [Orlando] Public Schools), educational consortia (Consortium for the Advancement of Public Education) and public agencies (U.S. Department of Labor, Public Pension Guaranty Corporation, California Commission on Peace Officer Standards and Training, APEC Center for Technology Foresight, and in the Department of the Army, the office of Chief of Staff, the Office of Chief Army Reserve, the USAR Personnel Center, the Office of the Deputy Chief of Staff for Operations, the Office of the Deputy Chief of Staff for Doctrine, and the Office of Chief Public Affairs). In the corporate world, he served as a faculty member in the executive leadership training program of Caltex Petroleum Corporation and as a planning consultant to Compaq, Ethan Allen, Inc., Microsoft, the Electrical and Electronics Institute (Thailand), the Lisboa Associates, SCT, SmartForce, and to Andrulis Research Corporation. His consulting activities focus on assisting organizations in developing environmental scanning/forecasting systems to augment their strategic long-range planning processes and on integrating information technology tools in teaching and in management. He retired from the U.S. Army Reserve (Colonel, USAR, Civil Affairs) in April 1992. From 1986-91 he served as Deputy Commander, Individual Mobilization Augmentee, U.S. Army Research Institute for the Social and Behavioral Sciences. In July 1990, the Secretary of the Army awarded him the Meritorious Service Medal for training Army long-range planners in the alternative futures approach to planning model and for assisting the Chief, Army Reserve in using this model to develop the 1990-2020 Army Reserve long-range plan. In April 1991, the Secretary of the Army awarded him the second highest award authorized for peacetime, the Legion of Merit Medal, for his career contributions to planning for the Total Army.